Author(s) Jerry D. Wilson Hernndez-Hall, Cecilia A. 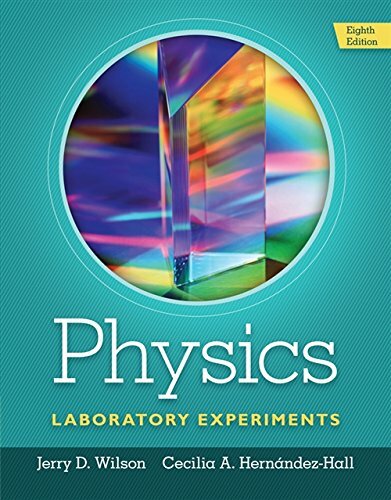 This market-leading manual for the first-year physics laboratory course offers a wide range of class-tested experiments designed specifically for use in small to mid-size lab programs. A series of integrated experiments emphasizes the use of computerized instrumentation and includes a set of "computer-assisted experiments" that allow you to gain experience with modern equipment. By analyzing data through two different methods, learners gain a greater understanding of the concepts behind the experiments. The Eighth Edition is updated with four new economical labs and thirty new Pre-Lab Demonstrations, designed to capture interest prior to the lab and requiring only widely available materials and items.